This is a dystopian novel written in a time where woman have no control over their bodies and are only valued on their ability to reproduce. Attwood's feminist values are so important and I'm really pleased to have finally gotten round to reading it. Dystopians are some of my favourite genres to read and this one was fantastic. The world created here was unusual and very well written, involving principles that are still relevant and, unfortunately, occurring to this day. I loved the main character, Offred. Her strong and independent attitude inspires me because despite the horrific situation she finds herself trapped in, she still has hope. The commander was another interesting character, with similar traits to Offred. It was disgusting to hear what he had to do and his role in society at the beginning and I disliked him greatly, but as the novel progressed, this changed and I felt myself sympathising with him a little bit. This wasn't something I expected was going to happen. Similarly, the story line was unexpected and I was constantly hooked. At the beginning I was very intrigued as I wanted to find out more about the society the novel was set, and this stayed the entire way through, perhaps due to the unpredictable twists throughout! There were flashbacks that explained Offred's past life with her husband and child which I enjoyed hearing about since I was able to see just how drastically everything had changed. 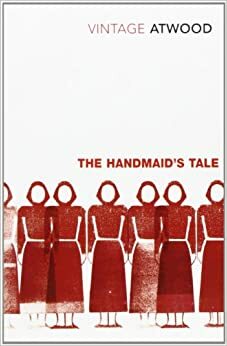 The ending was left ambiguously which I thought was a good trait since it allowed us, as readers, to decide what happened to Offred. This powerful topic is still relevant today and, with myself being a feminist, I believe that everyone should read this. It's intriguing and the almost all of the characters end up surprising you at some point. Definitely worth a read!